From multipurpose rooms and smart space planning to flexible, floating and transparent furnishings, here are ideas to help you look at your home in new ways. 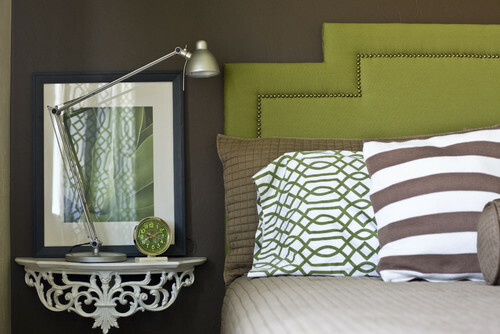 Reimagine a tricky room — or your whole house — with the tips and techniques in this guide. From tiny one-room studios to railroad apartments, not all small spaces are created equal — get a handle on the best way to arrange furniture in your space by scoping out how others have handled similar space issues. For instance, in a living room with many doors and windows (like the one shown here), pull your seating arrangement together in the center of the room, and use matched sofas or armchairs to create a cohesive look. From trading in your bulky desktop computer and sound system for a sleek laptop and iPod dock, to embracing folding furnishings and seeking out sneaky storage pieces, there is a lot you can do to win the battle with clutter in your small space. Getting furniture off the ground is a great way to maximize space. Consider a floating dish rack, a bike hanger, or even a loft bedroom above the kitchen. 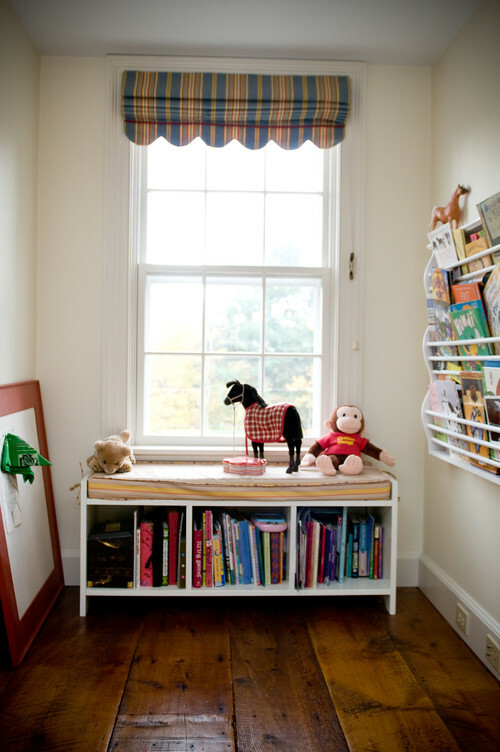 Another smart trick: Widen the windowsills so they can double as shelf space. When you rent, you may not be able to justify springing for custom built-ins — but there are plenty of other ways to tuck smart storage into your apartment. Craft an office out of a tiny closet, tuck blankets and board games into a coffee table and hide baskets in unused space beneath furniture. If you can splurge on a custom detail or two, you can really go wild with smart storage ideas. For instance, why not add recessed shelves, hidden cabinets or a flat-screen TV on a panel that pivots? Decorators know there are certain things that always make a small space feel more spacious: Transparent or mirrored furnishings, cleared floors, simple upholstery (skip the ruffles) and well-lit rooms top the list. Consider also making a few bigger changes to visually expand your space — choose a tight color palette and stick with it in every room, use strategically placed focal walls and swap out solid interior doors for glass ones. Whether you have an open entryway, a narrow hall or a front door that opens into a stairwell, small-space dwellers nearly always have issues with entryway storage. Look for slim, wall-mounted storage, like floating shelves, cabinets and coat trees, to make the most of available space. And in the tightest spaces, wall brackets and hooks are your best friends. A petite living room has to work extra hard. Hide spare seats in plain sight (like the stools shown here), hang curtains extra high to make ceilings look taller and make the most of little nooks with built-in window seats (with hidden storage, naturally). Hang Curtains to Make Your Living Room Appear Taller Than It Is. 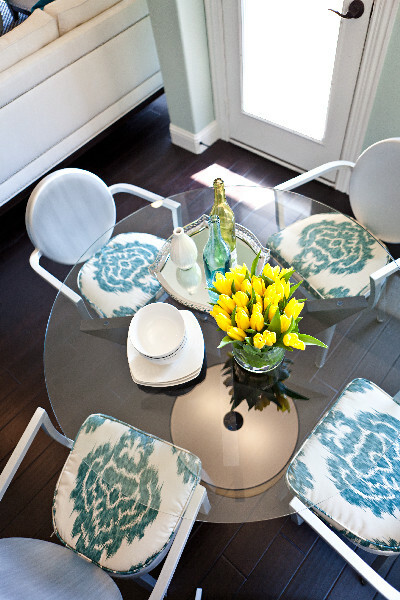 Just because your home lacks a formal dining room doesn’t mean you must go without a proper space for sitting down and eating. Try filling a tight corner with banquette seating or hang a luxurious pendant light over a small pedestal table for two. Define the area with a rug and art or a mirror on the wall — or look for a drop-leaf table that can be pushed against the wall when not in use. Big, sprawling kitchens may get all the press, but a well-designed compact kitchen can be just as (if not more) efficient and beautiful. Think about it — with less space to fill, you can splurge on fancier materials and appliances than you would if your kitchen were three times the size! Try using narrower-than-usual counters to save space in a really tight spot. Pocket-size bathrooms can be quite a challenge to design well — it’s no mean feat fitting a sink, toilet, and bathing space in a few square feet. Console sinks, recessed medicine cabinets and floating vanities can help. And here is a bit of counterintuitive wisdom: a claw-foot tub (albeit a small-scale one) is visually lighter than an equal-size tub that reaches the floor. Who knew? Search for Medicine Cabinets in All Styles and Sizes. Of course, there is also a good case to be made for getting rid of the tub entirely — if you prefer a luxurious shower to a soak, why not just get that space-hogging tub out of there? A sleek glass shower can make any small bathroom seem more spacious. What to do when your bedroom barely fits your bed, let alone a full bedside table (never mind both sides …)? End your frustration by choosing hardworking accessories that don’t take up floor space, such as swing-arm lamps, sconces and pendant lights, and use a niche or floating shelf for your things. If you want to hide a queen-size bed in plain sight, you can’t beat a Murphy bed. You can customize the bed to match your walls and architectural details, so when it’s closed, you would never guess a big, comfy bed is there at all — and when it’s time to sleep, all you need to do is give it a pull. When you need a home office but don’t have a dedicated room, smart storage and slim furnishings are your friends. Try building a work surface over a radiator on an otherwise unusable wall, tuck your office in a closet or against a sliver of wall, and experiment with pullout desks and creative shelving. Instead of cluttering up the space with a message board, use chalk paint on the wall instead. Make Your Own Chalkboard Paint. For a workspace in the bedroom, the key is not letting your tech devices and piles of paperwork take over what should be a restful space. Keep your setup minimal — a laptop is definitely preferable to a hulking desktop computer in this case. Letting your desk double as a nightstand or dressing table is a smart space-saving move. Goodness knows kids will find a place to play — whether you have a playroom or not. Steal space in a window nook, under the stairs or on a landing to keep your little one’s things neat and appealingly displayed. In a small home, using each room for two or more purposes is a necessity. 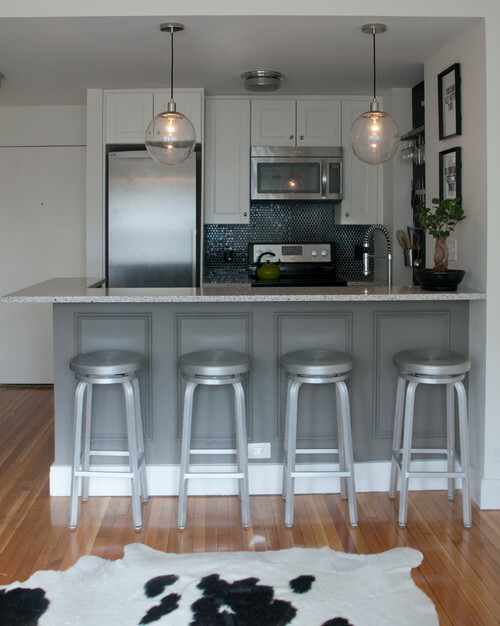 Think creatively about the space you have, and you may come up with a new combo you love. Why not put a big table In the laundry room, to use for work and folding laundry, or hide a home office in the living room or guest room?